Mizer opened his own film studio, the Athletic Model Guild, where he worked for almost 50 years, capturing over 10,000 men. 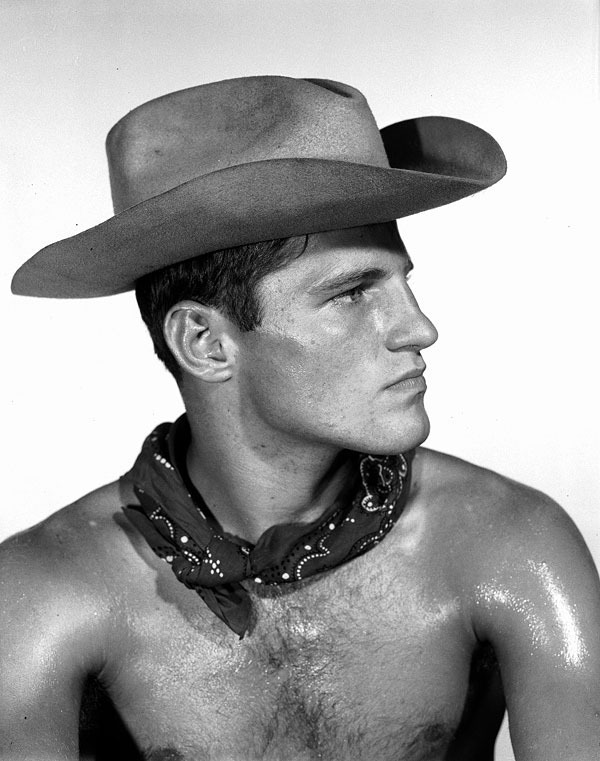 He also established Physique Pictorial, the studio's house publication and America’s first indisputably gay magazine. 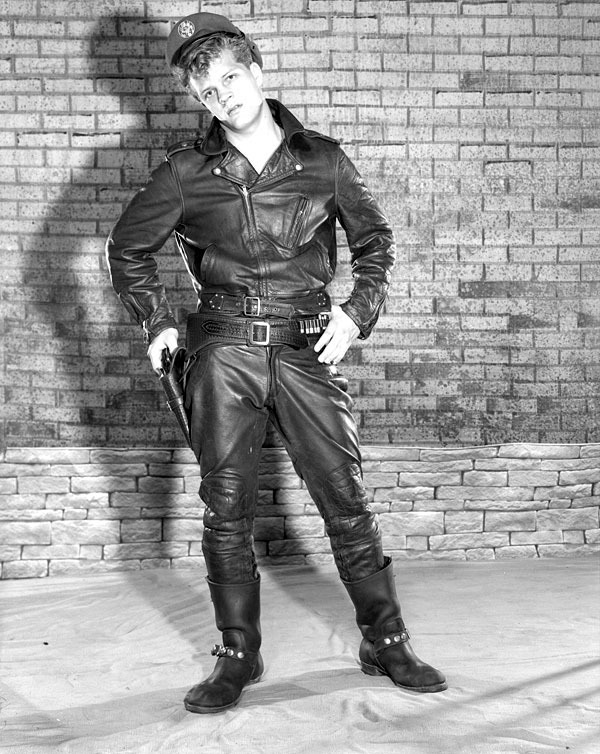 Whether snapping a scantily clad policeman, cowboy, or leather daddy, Mizer always found a kitschy angle. Thanks to the Guild, Mizer was not only a subversive force in the art world, but also one of the first to push for an openly gay community. The transgressive friskiness of Mizer’s oeuvre inspired a multitude of artists, from provocateurs like Andy Warhol and Robert Mapplethorpe to rule-breakers like Mike Kelley and John Waters. 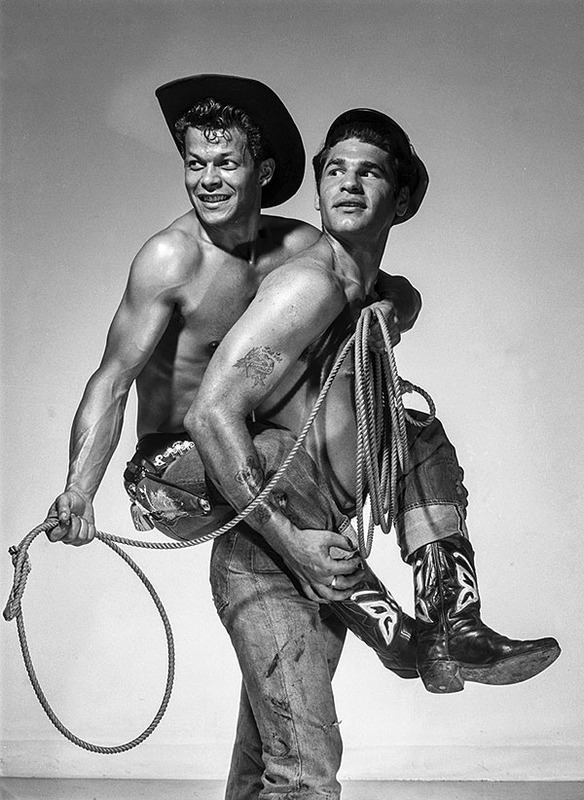 A new two-volume book, Bob Mizer's Athletic Model Guild (Taschen), contains prints made from his original 4x5 negatives to present 1000 hunky models in original clarity, culled from a quarter-million male nudes. 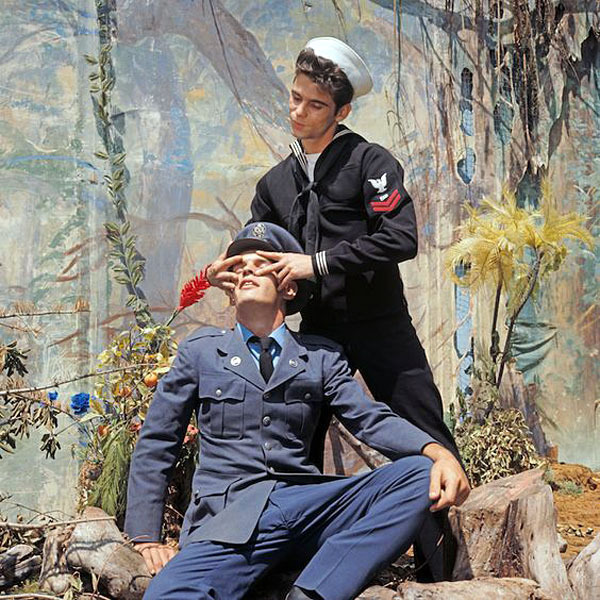 An hour-long DVD is also included, containing 18 films made by Bob Mizer between 1954 and 1968, edited specially for the book. They range from simple posing routines to gladiator extravaganzas, wrestling adventures, and crime dramas.